Hide deals from seller "Finest Shoe Repair"
Hide deals from category "Shoe Repair"
Limit 1 per person and per household. Valid on 4 Chicago-style spit shoe shines. May be redeemed over multiple visits. New customers only. Promotional value expires 30 days after purchase. Polish your dad’s look this Father’s Day when you use this deal for 50% off four shoe shines from Finest Shoe Repair in the South Shore ($20 value). Your dad’s best pairs of shoes will be treated to the finest Chicago-style spit-shine for a high-gloss look. In business for 25 years, Finest Shoe Repair is a local leader in leatherwork and shoe services. Oscar, owner of Finest Shoe Repair, continues the tradition of his father by offering the highest quality services and by remaining involved in the community. 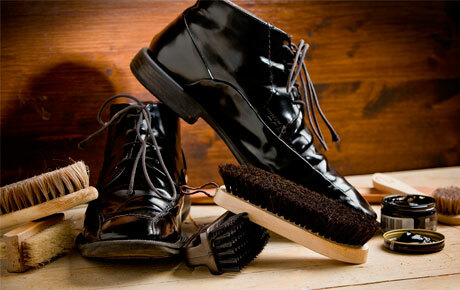 Their shoe shining and repair services have made this business a staple in the South Shore community. Help Dad look his best with this shining deal. A business in the South Shore offering leather and shoe repairs.